Nowadays are not so easy for young scientist, even for very talented ones! In Fishdom2 game, developed by Playrix Company, you will meet Jennifer – very talented scientist. She is dreaming of following in her grandfather’s steps, become an oceanologist and work in the best oceanarium! But she can’t get cherished position without trial task: she should make an aquarium! But where she can take so much money?! Now begins the most interesting part of the game! Jennifer starts examining boundless ocean spaces in search of gold and jewelries! Fishdom2 game offers you more than 1000 objects to find in 120 levels! 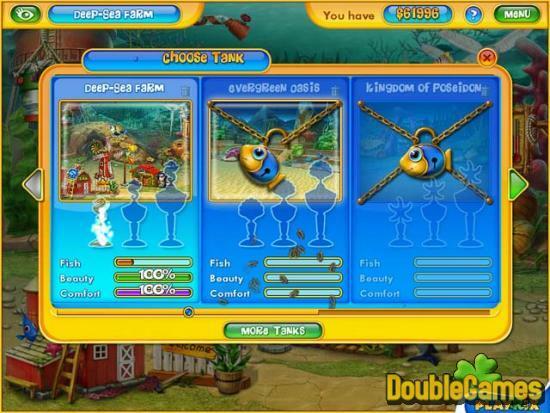 Join Jennifer in this adventure and help her to earn money for aquarium and turn her dreams about new job into reality! 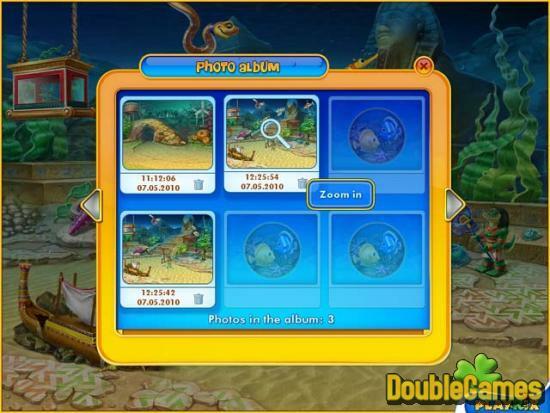 Title - Fishdom 2 Game Download for PC and Mac Description - Get more about Fishdom 2, a Puzzle game released by Playrix Entertainment. Join Jennifer in this adventure and help her to earn money for aquarium and turn her dreams about new job into reality! Those who have ever dealt with the previous Fishdom titles will note the near resemblance of this new installment. But this is the case when we are not going to complain about the game or blame the developers. 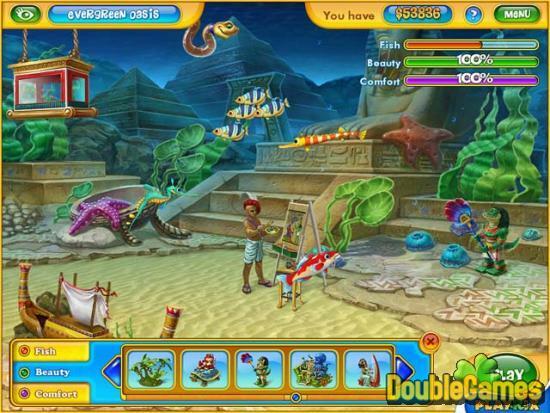 The explicit ordinariness, the main sin of most games, does not spoil the entertaining effect in Fishdom 2. Same concept, same colored tiles, same aquaria theme are able to grab your attention up to the last level. When you realize that you are playing hours looking at these small colored tiles doing one and the same moves, the thoughts of demoniacal power of match-three genre often run in your head. Probably, the secret of Fishdom 2’s absorptivity is in its polishing artwork. The fish are absolutely adorable and simply watching them swim back and forth can be incredibly relaxing. The chance to create the tank of your dream, take pictures of it and use them as a screensaver is one of the reasonable reason to give a try this game. The oceanic soundtrack cherishes your ears but if you play too long it can get pretty annoying. Just turn off the music and enjoy its peaceful water environment full of cute creatures. Try this game and maybe you will reveal the phenomena of this game. Good luck!